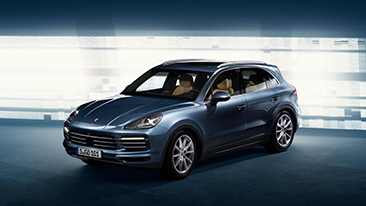 Porsche held a spectacular event on Tuesday in Stuttgart-Zuffenhausen to unveil the new Cayenne. The third generation of the successful model, more than 760,000 units of which have been sold since 2002, is a completely new development. The vehicle will combine even more of the typical Porsche performance with excellent everyday practicality. Despite its extended standard equipment, the Cayenne is up to 65 kilograms lighter thanks to its intelligent lightweight construction. 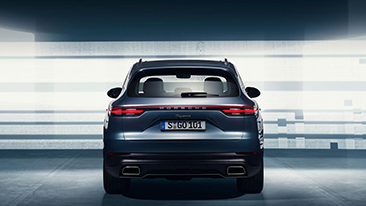 At launch, two turbocharged six-cylinder petrol engines will be available, with 250 kW (340 hp; Fuel consumption combined 9.2–9.0 l/100 km; CO2-emissions 209–205 g/km) in the Cayenne and 324 kW (440 hp; Fuel consumption combined 9.4–9.2 l/100 km; CO2-emissions 213–209 g/km) in the Cayenne S.
“We have completely redeveloped our successful model. It has been visibly and tangibly improved and perfected in all respects. The Cayenne has also been digitalised and networked throughout to give it a forward-thinking design”, says Oliver Blume, Chairman of the Executive Board at Porsche AG.